We’ve estimated typical running costs for a range of heating, kitchen, lighting and general household appliances. Where does it go? Is that what you wonder when you open the power bill? We’ve estimated typical running costs for a range of heating, kitchen, lighting and general household appliances so you can work out how to make the most effective savings in your home. Appliances on standby get a bad rap for needlessly using power. However, while it’s true any power used on standby is wasted, it’s probably not as much as you might think. We measured standby power consumed by technology and appliances we’ve tested and calculated the best and worst performers over a year. Some technology products (TVs, Blu-ray players and home theatre systems) cost much less than a dollar each year on standby, no matter the model. A games console will cost you a couple of dollars, regardless of whether you choose an Xbox or PlayStation. However, in the case of some multi-function printers, the power used on standby varies significantly between models, from nothing at all to more than $10 every month. TIP: The only sure way to kill standby energy use is by unplugging a device or turning it off at the wall when you aren’t using it. Sky and Vodafone decoders are notorious for using almost as much power on standby as they do while you’re watching Game of Thrones. We found a decoder used 24.3W while in use, and 23.6W while on standby. Switching to standby seems to do little more than switching a blue LED to red. Sky says you shouldn’t turn off your set-top box as it needs to be updated regularly. A set-top box, even if left unwatched on standby all day, would use $53.75 in power each year. Add that to your Sky fee. If you’re shopping for a new whiteware appliance, TV, computer monitor or heat pump, you’ll see an Energy Rating label prominently displayed on the products. 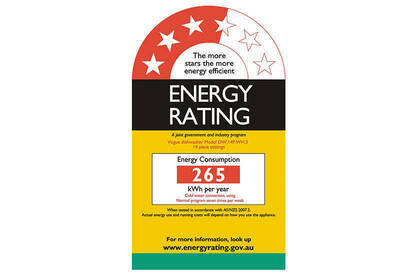 The label shows a simple star rating – the more stars, the more energy-efficient the appliance. The label also features an annual energy consumption (kWh per year), calculated from average expected use. When comparing models of the same type – for example, small top-mount fridge-freezers – the one with the most stars will be the cheapest to run. But if you’re comparing 2 appliances of different size or type – for example, a small top-mount with a large French-door fridge-freezer – you can’t compare stars and need to use the kWh per year figure to find the cheapest to run.